With an impressive freestanding height under hook of 80.9 metres and a jib length of 80 metres, the 21LC750 tower crane from Linden Comansa could be seen from every corner of the Bauma trade show, the most important event for the construction machinery industry. This model has been part of the exhibits from tower crane manufacturer Linden Comansa and German partner BKL Baukran Logistik GmbH, a leading crane rental, sales and service company in Central Europe. The exhibited 21LC750, with 48 tonnes of maximum load capacity and flat-top design, has been sold to BKL, who will add it to its rental fleet. 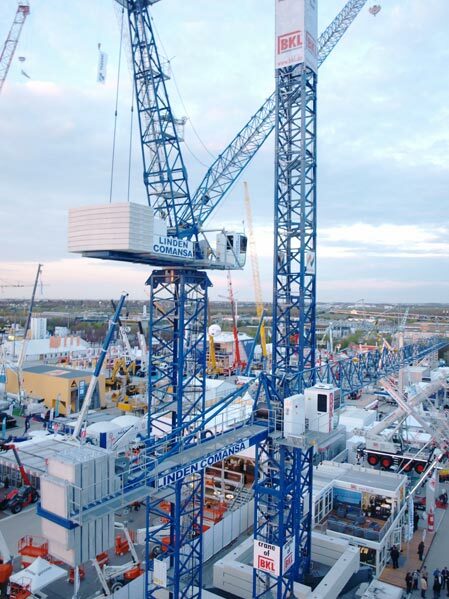 With this purchase and the stunning exhibition of the crane at Bauma, the German based crane specialist BKL strengthens its position in the large tower crane market (up to 750 tonne-metres) to be able to equip big industrial and infrastructure projects. 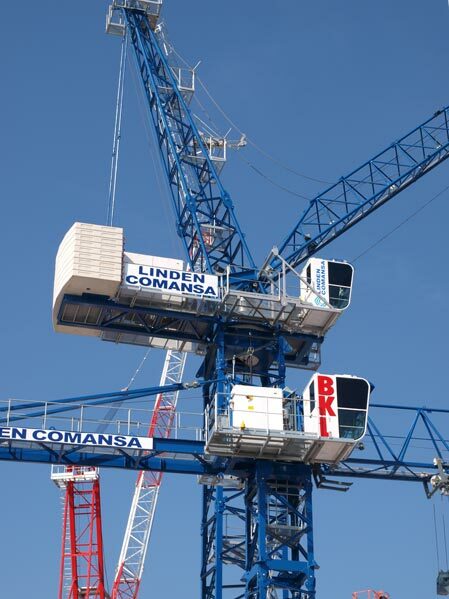 Another exhibit by Linden Comansa at Bauma has been an 11LC160 flat-top tower crane, with maximum load capacity of 8 tonnes, monoblock mast sections and steel framed counterweights. The 11LC160, which will also join the rental fleet of BKL, and the 21LC750 are the first of a large order from BKL to manufacturer Linden Comansa. Linden Comansa also showcased a LCL 280 luffing-jib crane, which had never seen before at any trade show. The LCL family of luffers, including this model, feature important improvements that have been recently applied thanks to the suggestions and ideas of Linden Comansa’s customers worldwide. Bauma 2016 has been a very successful show to Linden Comansa: Many customers and dealers visited the booth, including sister companies Linden Comansa America from the U.S. and Comansa CM from China; Potential dealers and customers brought new opportunities in several markets; Orders worth more than 5 million Euro have been confirmed during the trade show, most of them for tower cranes from the medium and large range of flat-tops; And last but not least, Linden Comansa and German partner BKL strengthen its relationship. 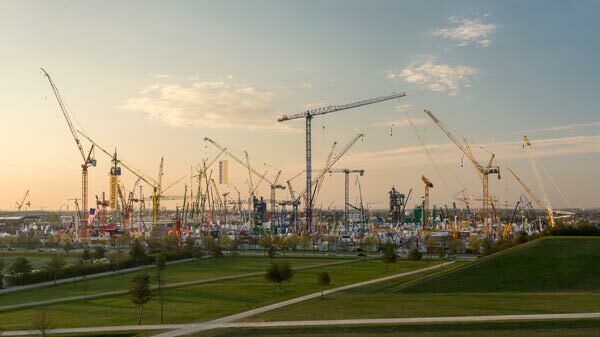 It rained quite a lot during the week in Munich, but the Bauma trade show couldn’t have been better for Linden Comansa.